Below you can view all the condos for sale in the Canyon Lake subdivision located in Las Vegas Nevada. Listings in Canyon Lake are updated daily from data we receive from the Las Vegas multiple listing service. To learn more about any of these condos or to receive custom notifications when a new property is listed for sale in Canyon Lake, give us a call at 702-323-5991. Balcony with view on the picnic area, near the clubhouse and pool. MLS#2089350. Choice One Properties & Manage. What An Awesome Value & Ready For Immediate Occupancy MLS#2088097. Award Realty. Part of bulk 5 unit portfolio sale, call agent for more information. MLS#2088190. Housing Helpers Of Las Vegas. Part of bulk 5 unit portfolio sale, call agent for more information. MLS#2088152. Housing Helpers Of Las Vegas. Part of bulk 5 unit portfolio sale, call agent for more information. MLS#2088180. Housing Helpers Of Las Vegas. Community amenities include pools, spas, BBQ and Pet areas, tennis courts, Fitness center, Rec center, Security Patrol. Great location! Must see! MLS#2087367. Wardley Real Estate. Enjoy resort living near the heart of Summerlin, restaurants, and shopping. MLS#2087609. Windermere Prestige Properties. Part of bulk 5 unit portfolio sale, call agent for more info. MLS#2086993. Housing Helpers Of Las Vegas. Lots of guest parking. Assigned 2-car carport. MLS#2082083. Offerpad. Bedroom set is high quality, closet is huge and gorgeous upgraded bathroom! MLS#2080772. Top Tier Realty. The private balcony has a utility room that includes washer/dryer, hot water heater, and additional storage. MLS#2081665. Simply Vegas. Current Tenant Can Stay Or Move Out If Buyer Wishes To Occupy This Property. MLS#2079042. IHOME Realty LLC. Excellent location next to Canyon Gate Country Club in center of West side. MLS#2075260. Luxury Homes of Las Vegas. 2 bedroom condo with venetian plaster throughout, tile floors, fresh paint, granite counter tops, stone backsplash and a fireplace! MLS#2074484. Keller Williams Realty SW. 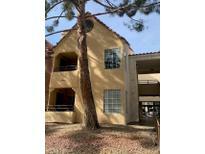 Features fireplace in living room, granite countertops, ceiling fans, separate laundry area, tile and carpet throughout! All appliances included! MLS#2072950. Realty ONE Group, Inc.
Community pool, tennis courts, clubhouse, putting green and much more. MLS#2059116. Platinum R.E. Professionals. Community has clubhouse, sparkling pool, relaxing spa, tennis, basketball, racquetball, fitness center, and game room. MLS#2050901. 1st Priority Realty, LLC.